Clients Choose Us! Because we Turn their ideas into Solutions they Love? While we continue to offer industry leading quality and pricing on commodity products it's our custom solutions that our customers tell us really shine. From custom manufacturing solutions to modified versions of off the shelf products our custom solutions exactly match our customers needs, everyday! Our new website launches. The new look of our all new website provides our customers with the full range of our products and services, including download able versions of our catalogs. We've upgraded our ordering process with a new data entry and processing center to provide our customers with the highest quality service and fastest delivery. We use "brush" in our name for a reason, it's our legacy. 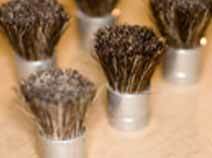 More types of brushes than you can imagine for every use and purpose conceivable. For cleaning, moving and applying our brushes are simply the best. Squeegees are used for moving fluids and spreading fluids. We make a modular system that allows us to offer any combination of material types, shapes, sizes and holder types. A wider range of rollers than most manufacturers for painting or coating applications. 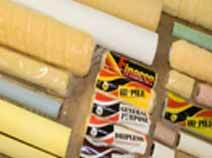 An assortment of materials for naps and cores in standard and custom sizes. 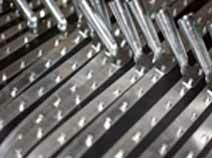 Our FlowThru brushes are a hit with manufacturers. 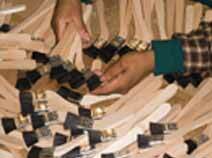 Skive tools for manufacturing, Sealer Tips, Molded and Hand Crafted products of all types.